A local expert has given tips on how to avoid becoming a victim of human trafficking. With the rise of human trafficking in South Africa and it being the world’s fastest growing crime, it is advisable to be cautious and vigilant at all times, Rekord reports. 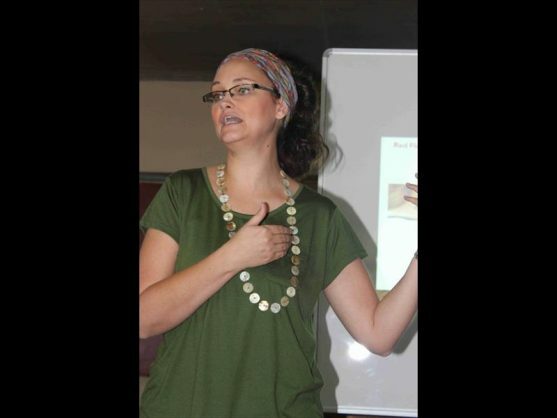 Founder and director of Small Voice Human Trafficking Jacqueline Fourie said people should educate themselves and be aware. She also advised that people familiarise themselves with red flags that could help identify victims of human trafficking, so they can alert authorities if need be. She said some of the signs include bruises, scars, swelling and redness, among other things on victims. “Other signs may be that the victim is not in control of their own identification documents, and they are not allowed to speak for themselves, in some cases a third party insist on being present or translate for the victim,” she said. Fourie said some have rehearsed answers, always scared, and sometimes isolated from other people. She said that one of the easiest ways for traffickers to find victims was through social media. “Traffickers will spend months conversing with potential victims to gain their trust, make them distrust their own parents/partners and groom them. She said because traffickers made enough money from victims, they can afford to spend months gaining their trust via social media. – Do not post/send/share intimate photos or information. – Remember: if you wouldn’t say it or do it in public, don’t post it online. – Do not post photos you do not want a trafficker to see or where you are going/time you are going away. – Do not post personal details, including phone numbers, home address, and the name of your school. – Do not accept every “friend” request – try to only accept friends’ requests from people you know in real life. – Just because you know someone on the internet, does not mean that you actually know them – do not agree to meet them alone. If you do want to meet them, arrange to see them at a busy place (eg mall) and never alone. – Once posted, always posted: protect yourself on social networks. What you post online stays online. – Tell someone if an individual online makes you feel uncomfortable.